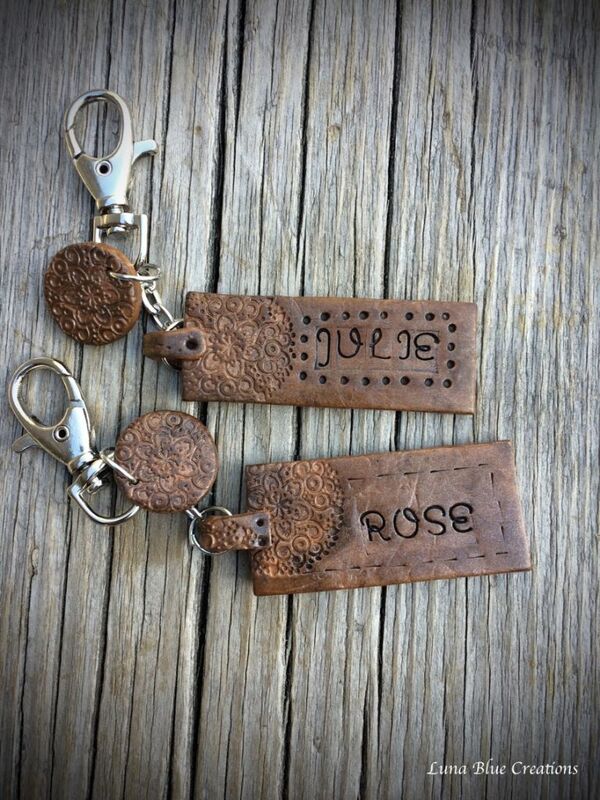 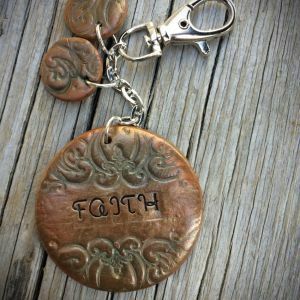 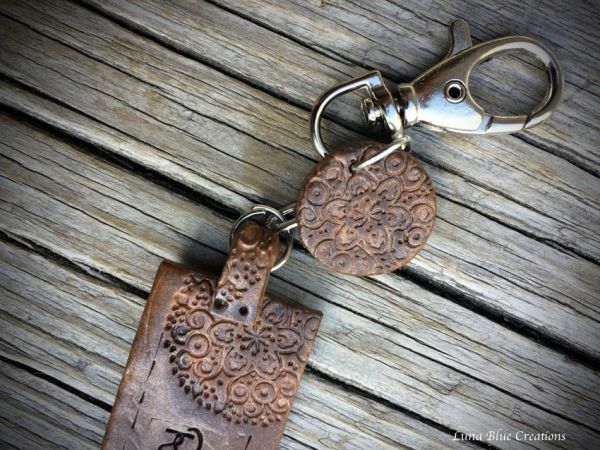 FAUX LEATHER PERSONALIZED KEYCHAIN, CUSTOM KEYCHAIN, KEYRING. 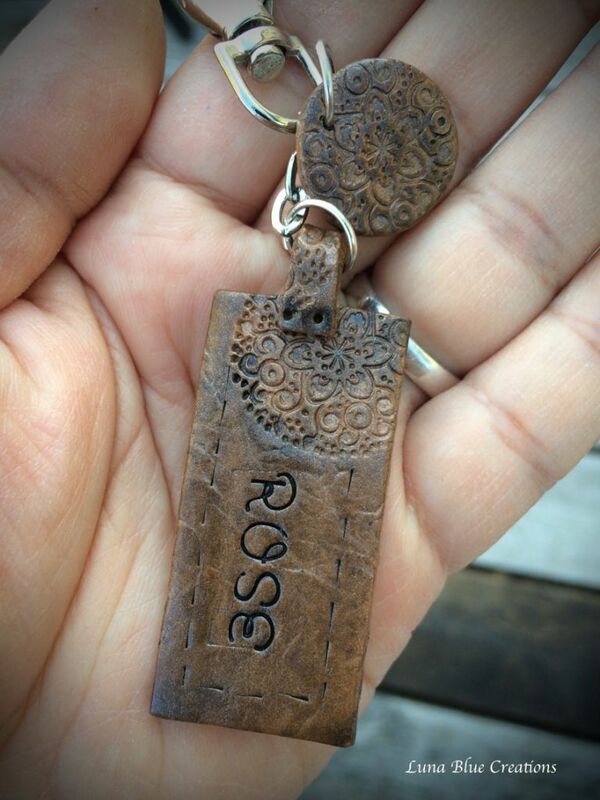 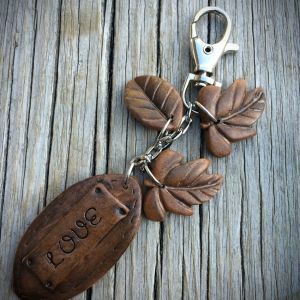 This is a leather inspired keychain. 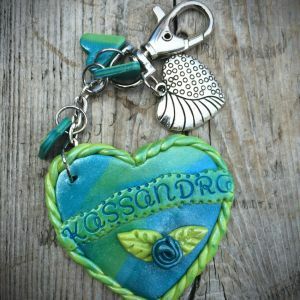 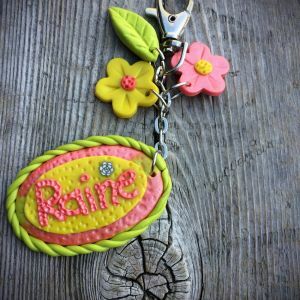 These keychains are created using polymer clay and chalk pastel.